Luka Jelcic is an attorney at law working at Zivko Mijatovic & Partners (ZMP) in Croatia. He joined the firm in 2014. Mr Jelcic obtained his magister iuris from the Faculty of Law at the University of Zagreb. He is a certified trademark and patent attorney before the Croatian State IP Office. Mr Jelcic specialises in contentious matters, particularly focusing on litigation and enforcement of intellectual property. Recently, he has worked on a number of complex litigation cases in the pharmaceutical industry, both patent and trademark-related. Mr Jelcic’s proactive approach has led him to both alert clients about trademark infringements and successfully resolve these matters. Mr Jelcic manages several clients’ IP portfolios in the automotive industry. He has also participated in customs training sessions as a lecturer for brands in the automotive, pharmaceutical and fashion industry. Mr Jelcic also has a special interest in trademarks in the sports industry, which enables him to apply his extensive knowledge of the sports industry in a practical manner. Mr Jelcic has published a number of articles in Croatian magazines relating to various trademark issues, providing commentary on new legislation. 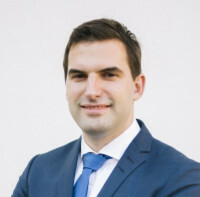 He is a member of INTA, the Pharmaceutical Trademarks Group, the European Communities Trademark Association (ECTA) and the Croatian Bar Association. He is also a member of the Law Committee at ECTA, as well as the Intellectual Property Committee at the American Chamber of Commerce in Croatia. Mr Jelcic is proficient in English.